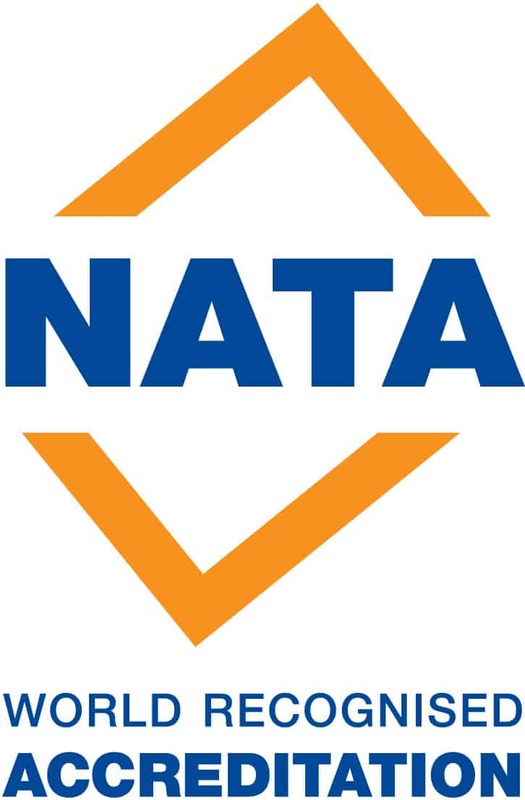 NATA Qualified laboratory staff members can assist you with your Asbestos containing material identification needs. Through our work here at ENCO we are becoming increasingly aware of just how prevalent asbestos is – in homes, offices, factories, outhouses, and piles of rubbish. Of major concern to us is the lack of awareness that still permeates through much of the industry and indeed the general population. It’s essential to us that our customers that might not know how common it is, are made aware, so that when they come to renovate or clear out a property, they do not unwittingly expose themselves or anyone else to this deadly substance. Surprisingly, asbestos are natural occurring mineral fibres and it just looks like a rock with fibres in it. Unfortunately as is now widely-known, it is deadly if the fibres are released and breathed in, causing diseases such as asbestosis (scarring of the lungs) and mesothelioma, an incurable lung cancer. Also it is unfortunate that asbestos-containing products are quite common – prior to the ban, it was used in a lot of things, from car brakes to fireproof blankets to building materials. Can asbestos be identified with the naked eye? In most cases, no. The only way to tell for certain if something is asbestos is to collect a sample and send it to our laboratory. However, it is possible to educate yourself about where it might be found, in order to avoid accidentally exposing yourself or your family. As a source for information, support and counselling for conditions caused by asbestos exposure. Insulating board behind your electric meter as well as the meter board itself. Fibre cement products used in construction, very often in cladding on outer walls. Corrugated roofing – you might think they’re metal but look again – is it crumbling? This is a cement/asbestos mixture. Lagging – old pipe and boiler insulation, even where it appears to be a sort of twisted rope/rag wrapped around the pipes. Hessian sacks – hessian in itself is harmless but has been widely recycled. Asbestos used to be carried in hessian sacks and so contamination is possible. These hessian sacks were often recycled into floor underlays. Ceiling tiles – a lot of the square, white ceiling tiles found in schools, offices etc contain asbestos. Vinyl floor tiles and sheeting – one of the last places you’d think you’d find it – common in schools and homes. ENCO‘s qualified Asbestos Assessors are able to inspect and report on all of these types of asbestos products and more. The price of Asbestos Audits varies significantly on the size of the property, the number of potential asbestos containing materials (ACM), and the number (if any) of test samples required. Contact ENCO today for a free no obligation quotation to have your asbestos identified before it’s too late!